Can you believe the Summer of Wonder is already halfway over? We can’t either. So far, we’ve danced with the Phillie Phanatic, built space ships, and learned how to knit. We’ve done yoga, played new instruments, and, of course, read great books! But one thing we’ve really been doing a ton of this summer is using our imaginations to create. Blanche A. Nixon/Cobbs Creek Library has hosted Construction Junction to design buildings with LEGOs, blocks, and more. Queen Memorial Library has developed impressive creations with only cardboard and paper fasteners. Thomas F. Donatucci, Oak Lane, Holmesburg, and Chestnut Hill libraries have all hosted arts and crafts programs, complete with drawing, painting, and even tie dying. We’ve also been learning about science. 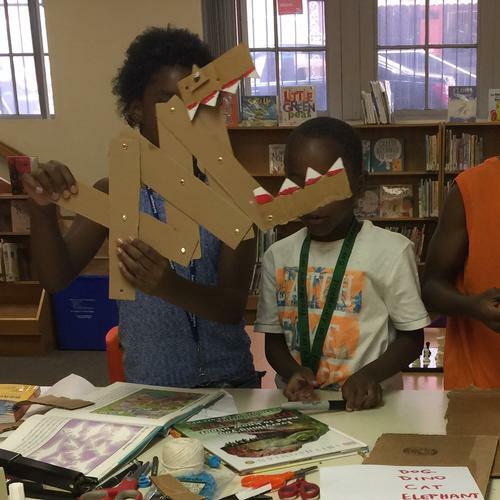 Did you know that the Nicetown-Tioga Library hosted a Snake Party, complete with a special reptilian visitor? 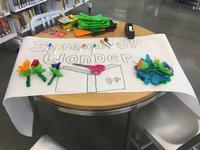 Greater Olney Library started a Mad Scientists Club, and Joseph E. Coleman Northwest Regional Library designed a program all about STEM (Science, Technology, Engineering, and Math) fun. There’s been kids-only and teen-only computer lab time at South Philadelphia Library, and there’s been Science Tuesdays, a day dedicated completely to STEM activities, at Falls of Schuylkill Library. People of all ages have been learning new languages: everything from coding in Minecraft at Fumo Family Library to Sign Language at Andorra Library. And there’s a lot more to learn! 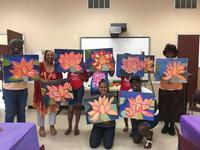 Check out our calendar of events for something fun, engaging, or educational at one of our many locations. In the next half of summer, we’re planning social justice book discussions, origami creating, spy clubs, martial arts demonstrations, ice cream making, movie watching, and even treasure hunting. Discover, explore, and read your way through the rest of the season with the Free Library, and follow us on Facebook and Twitter for news, announcements, and some seriously wonder-ful pics. Continue having a happy Summer of Wonder, Philadelphia! Children at Queen Memorial Library design impressive creations with cardboard and paper fasteners. The Summer of Wonder is all about using your imagination to create. Check out our calendar of events to see what's happening at a neighborhood library location near you. Add a Comment to Halfway through the Summer? Already? !